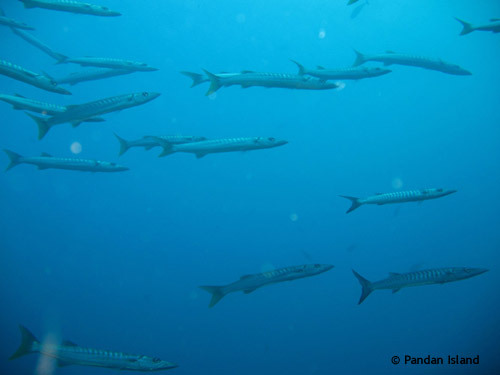 Barracuda Deep is a deep wall dive full of action and excellent coral formations. Barracuda Deep is probably the most advanced dive around the island. A wall at 30 m depth facing the South China Sea is the place to see big schools of trevallys, fusiliers, surgeon fish, Spanish mackerels and unicorn fish. Eagle rays and napoleons are often seen as well as barracudas up to a size of 1,5 m. The whole wall is overgrown with hard and soft corals and the gorgonians reach a considerable size.